What’s Actually in the Royal Wedding Gift Bags That Are Being Sold on eBay? You’d think with all the pomp and circumstance that surrounded the royal wedding, there would have been some pretty good swag in it for the guests who attended the biggest event of the year thus far. But it’s come to our attention that there are some people who are reselling their gift bags on eBay, and, even wilder, the items that are actually in the gift bags are nowhere near the values they’re selling for. These bags are becoming quite a thing after some attendees at the wedding have taken to selling them on eBay. According to Us Weekly, the bags went to the 1,200 people who were invited to be on the grounds during the event but weren’t actually inside the chapel. As such, somebody probably thought they were making a nice gesture by providing things that could be useful when standing around in the sun for a while. 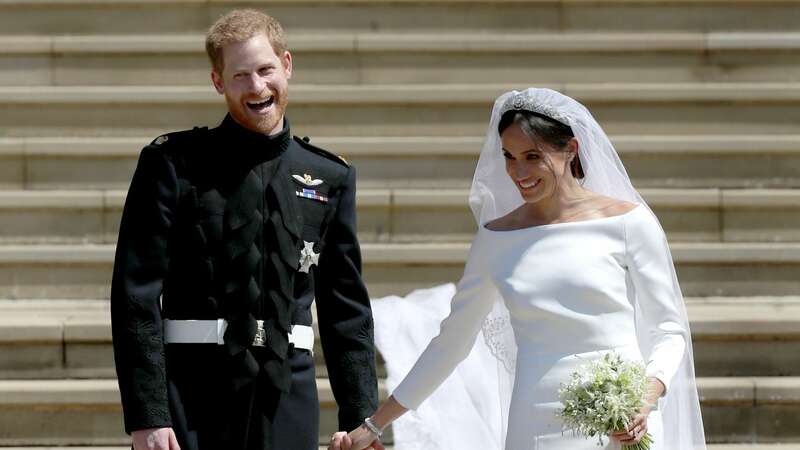 The bags contained a program of events for the service, a commemorative refrigerator magnet, a gold-foil chocolate coin, some shortbread cookies, a postcard, a commemorative bottle of water and a 20-percent-off coupon for the royal gift shop. The items are held in a small tote with the letters “HM” and the date and location of the event on it. All they forgot was sunscreen and a lip balm on a carabiner. One bag sold on eBay earlier this week for the insane amount of $10,591 with 76 bids. Other bags that have already sold reportedly went for between $600 and $2,000. A few that are still being auctioned are running between $500 and $4,000. Capitalism at its finest, folks. But on social media, people aren’t attacking the bags, but rather the people selling them. The foremost reaction seems to be that the idea is tacky, with several people hoping that proceeds will go to charities. Sure hope it's for charity. That's pretty classless. Let's hope that the money they get goes to a good cause. Otherwise this is shameful!! At first glance I thought, how very tacky to sell a wedding favor. But they have coupons in them. How tacky to put coupons in a wedding favor. The big question we have is why, after spending millions on the wedding, didn’t Harry and Meghan spend a little more on the goody bags? Or why not go the way of many Hollywood celebrities and just team up with brands you like to do special royal wedding promotions and fill up the gift bags with tons of good swag that way? Harry and Meghan: we expected better from you. Hurry on over to eBay, if you feel so inclined and start searching for your own royal goody bag. With a little luck, you can get that thing purchased, shipped and resold before the week is out.